No doubt you still have plenty to do before the school year ends—including suggesting summertime learning opportunities for your students. Here’s a quick list of summer options that students and parents will be glad to know about! Send students to a virtual reading camp! With the Scholastic Summer Challenge, students compete with readers from across the country. Each student joins one of four teams, and the teams compete for points based on how many minutes they spend reading. Participation in other book-related activities, games, polls, message boards, and more allows students to earn more points. The winning team will give a donation to a national charity of their choice. Looking for a summer reading list to suggest? Look no further! The children’s literature experts at The Horn Book have posted their picks. Click here to see the list of picture books, early readers, and more. Keep students’ vocabulary and spelling on track with a free summer subscription at eSpindle Learning. Up to 100 schools will qualify. Click here, then enter “summer” into the comments field. 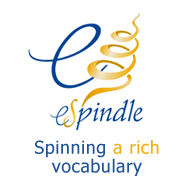 The eSpindle site is a winner of the Learning® Magazine 2008 Teachers’ Choice Award for the Family. 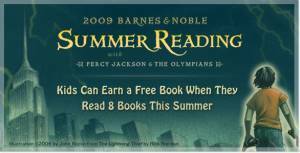 Join Barnes & Noble and author Rick Riordan, creator of the Percy Jackson and the Olympians series, in encouraging lots of summertime reading. Students in grades 1-6 sign up and read any eight books. Then they bring their completed reading journal to Barnes & Noble between May 26 and September 7. They’ll get to choose a free book featuring Biscuit, Fancy Nancy, Clarice Bean, Percy Jackson, or another literary luminary. Teaching summer school this year? These kits from Curriculum Associates are designed to help you raise struggling students’ achievement. Each kit has a pacing chart, lesson plans, quick diagnosis, targeted instruction, built-in assessments, and more. Kits cover different aspects of reading, writing, and math and include materials for 15 students. With options like these, summer is going to be filled with fun and learning! Enjoy! P.S. Did you know that this is Children’s Book Week? The Mailbox® e-newsletter features free book-related activities for preschool and elementary grades. Enjoy!